David De Gea is supposedly on his way out of Manchester United this summer, and Manchester United are already hosting Jan Oblak’s agent to replace the Spaniard. Jose Mourinho is preparing for a Manchester United team without De Gea for next season, with some reports stating that the star goalkeeper has already placed his £3.85 million luxury home up for sale. It is believed that De Gea fell out with Jose Mourinho following a press conference after the goalless draw against West Brom, after Mourinho claimed that the Spaniard was ‘sleeping’ towards the end of the match. This news seems to have alerted Real Madrid, who have already been eager on De Gea for a long time now. They had even a deal in place in the summer of 2015, which failed to materialise because the paperwork was not finished in time on the deadline day. 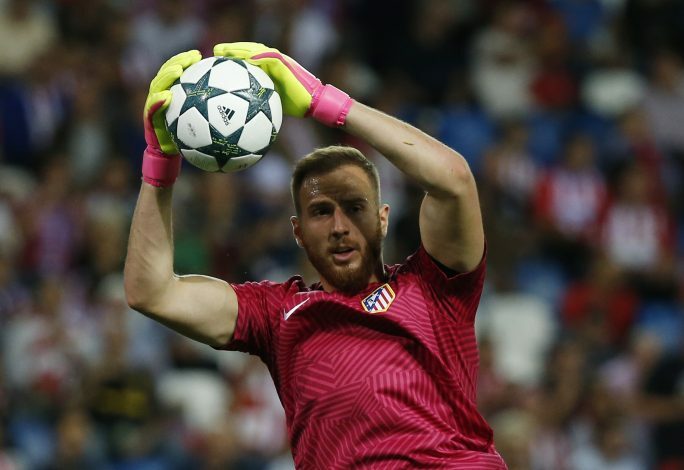 Mourinho, meanwhile, seems to have identified Jan Oblak as the perfect replacement, with some sources claiming the player’s representatives jetted into Manchester earlier this week to agree a deal. The Slovenian goalkeeper has attracted interest from various clubs, but according to MEN Sport, Oblak’s representatives have already met with Manchester United authorities in this week. “I think for every player it is an honor to come to the UK and play for clubs like this one,” said a source close to Oblak. If the move materializes, Jan Oblak, who was voted as the best goalkeeper in La Liga last season when he conceded only 18 goals, should prove to be an able replacement for David De Gea. The Atletico Madrid goalkeeper speaks fluent English, and shouldn’t face many problems settling at Old Trafford.